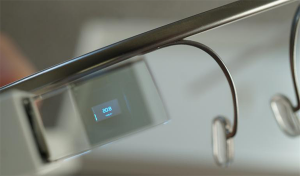 Caesars Palace in Las Vegas has banned Google Glass from the casino before anyone has attempted to enter wearing a pair. A spokesman for the casino said that due to gaming regulations, anyone wearing Google Glass could warrant an arrest. Las Vegas casino Caesars Palace has banned the use of Google Glass from the casino floor. Any device which can record video is prohibited from use at a table or machine. According to the spokesman, the casino has encountered people trying to keep track of cards in blackjack games with secret recording devices. Anyone caught is immediately arrested. Glass is more of a threat as it is very discreet. Despite being worn on someone’s face, it is easy to take a photo or record video without anyone noticing. As glass can be incorporated into normal glasses and sun classes, it poses a high risk to casinos. As a result Caesars Palace has been proactive with the ban before the device is even widely available. So far Google Glass has had a mixed reception. There are many privacy concerns due to the on-board camera and the technology is very new. Google hasn’t yet finished working out how the technology will be used by the average person, however, it definitely won’t be a part of casino gambling.